In honour of the most popular American jazz artist of the 20th century, Ottiu designed the Louis Twin Bar Chair. Louis Armstrong was an American jazz trumpeter and singer who featured in some of Hollywood’s cinema classics during the golden era. The Louis twin seat features a curved structure crafted from Beechwood with legs in walnut wood. 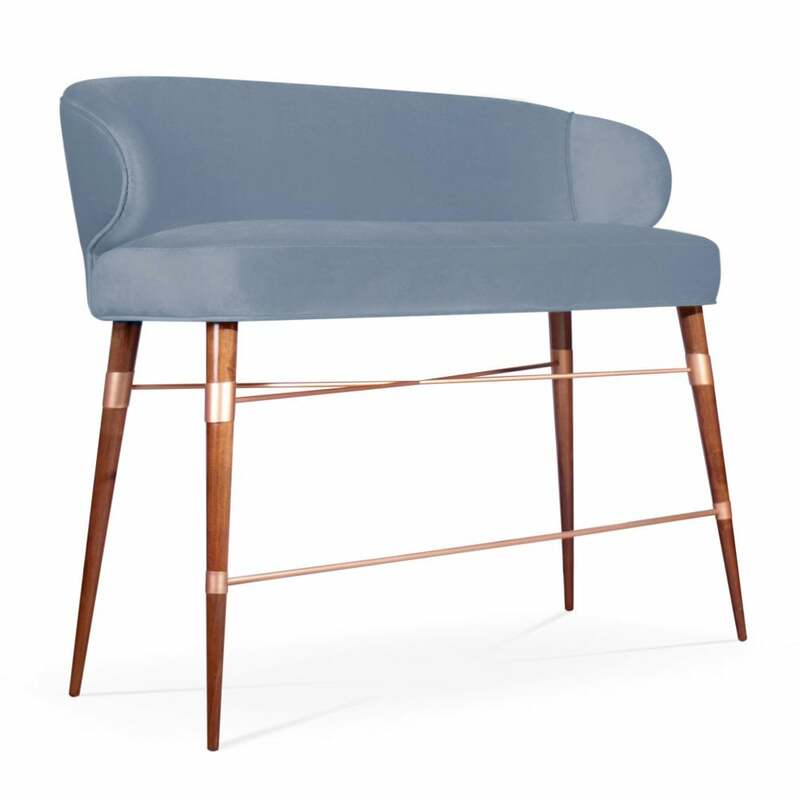 The mid-century modern design is adorned with Ottiu’s signature polished brass accents giving the chair a luxe look. Upholstered with the finest cotton velvet, the deep seat and curved backrest provides maximum comfort. Part of the Century Collection, the twin bar chair is perfect for contemporary residential or hospitality projects. Get in touch with our team to discuss fabric and finish options. Priced for Upholstery: Ottiu Fabric. Structure: Beechwood. Details: Copper plated brass accents.